And yet there is increasing movement for buildings to reach net-zero energy (NZE) or net-zero carbon (NZC). Architecture 2030 wants all buildings there by 2030. Many in the LEED community want this as a requirement for achieving LEED Platinum today. And California has stated it as a goal for all residential and commercial buildings by 2020 and 2030, respectively. But the reality is that achieving onsite NZE and NZC will remain impossible for most urban buildings, meaning that we need to have a conversation about how a building gains access to renewable energy and supports utilities toward their own goals to move towards 100% renewables. First, the reason it’s so difficult for most taller (>4 stories) urban buildings to achieve NZE is that they simply can’t fit the amount of solar they need on the roof, regardless of how efficient they are (as I describe in this blog post, which also noted that NZE for one- and two-story buildings is easy). There are exceptions, of course: The Bullitt Center in Seattle extends a solar canopy to increase its collection capacity, and the National Renewable Energy Laboratory’s Research Support Facility in Golden, Colorado, uses solar on two parking structures to meet its load. Or, projects could go the Boulder Commons route and install a sizable portion of their solar on an unshaded west façade (if they have one), but it’s unclear if that’s replicable, or even the best (or most cost-effective) solution. In addition, onsite NZE creates an incentive to have lower density and less frequently used buildings (since energy use increases the more you put into a building, and the more hours you use it, while the annual solar resource remains constant), which is antithetical to what the goals of a great building should be. So, for the majority of urban projects to reach NZE, they will unquestionably have to connect to off-site renewable energy for some portion of their load, and that’s an area that we in the buildings industry don’t place enough attention to. 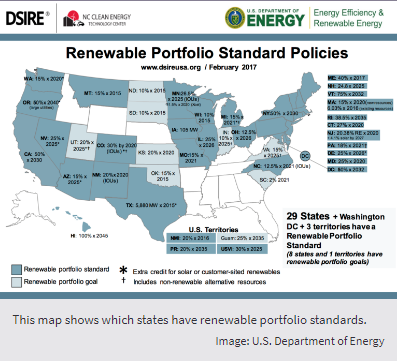 Until recently, the vast majority of the off-site renewable energy options were represented by the purchase of renewable energy credits (RECs). But the credibility of RECs has declined along with their prices. That’s because most RECs today are coming from renewable energy that utilities or private developers were planning to build anyway. To learn more about RECs and how we can fix that broken system, keep reading this blog post on our sister site, LEEDuser.